Another parking lot may bite the dust. 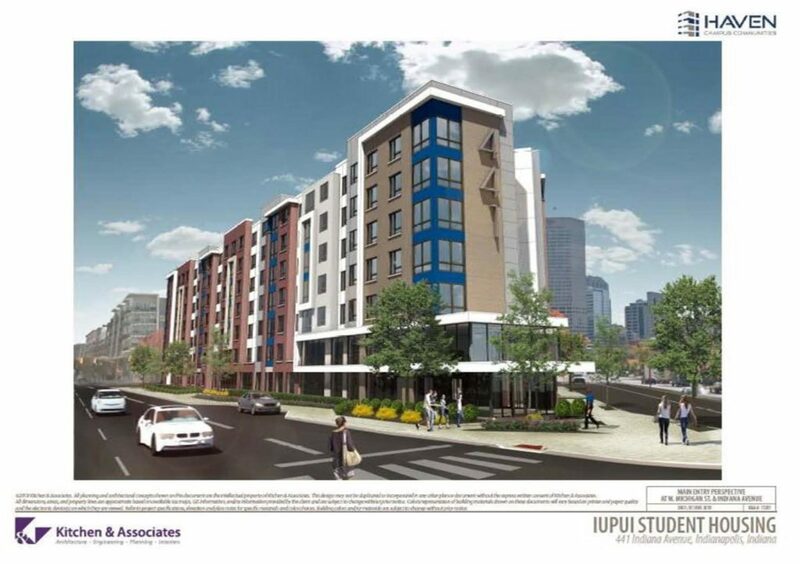 Here is a continuation of developments along Indiana Avenue. This is the building proposed for the triangular lot across from The Cosmopolitan, correct? When is construction to begin? Maybe it’s my old eyes, or a blurred picture, but it sure would be nice to be able to read the numbered Key in the elevation picture. I’m guessing it details the type of apartment. To Matt K ^^ I could be wrong but I don’t think this will have a “back side” that will be a “completely opened up parking lot”. Not sure if there is a “back side” on a three sided building. 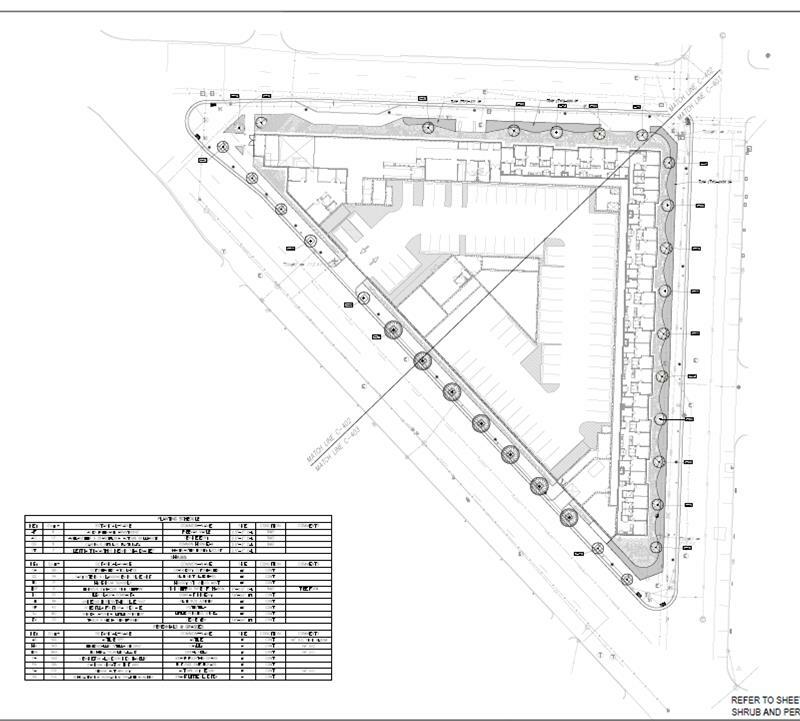 Also – I don’t believe there is a parking lot that is part of this project. There is an interior parking garage. It looks to me like there will be some frontage (maybe the lower two floors above street level along Virginia Ave that will not have apartments facing the Avenue but parking floors. It appears they will be somewhat “hidden” behind some type of wall facade meant to look like windows on those rwo floors. 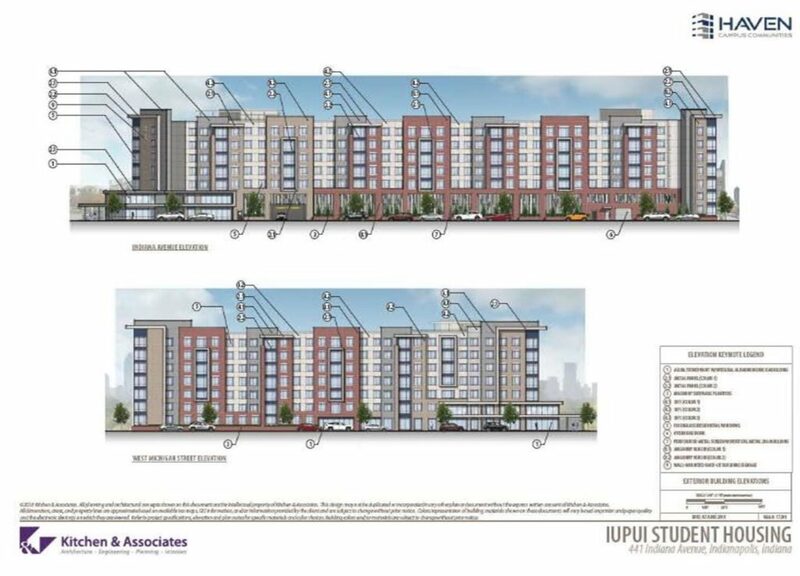 Sure, real apartment units would have been great to see along Virginia on those lower two floors, but – with a triangular lot and a substantial number of units – a relatively large number of parking spaces is also probably considered necessary by the developer to ensure marketability of the units. I don’t think there would be an affordable way the developer could build this project on this triangular lot without having some of the interior parking built right up next to the interior of the SW facing wall. Overall, I’m pretty happy with the look of this project and how it helps continue to fill in and populate the near northwest corner of downtown Indy. Parking at street level along Ondiana for almost entire length of the building? Shouldn’t happen. Aren’t there codes in place for mile square that forbid that? Parking at street level along Indiana for almost entire length of the building? Shouldn’t happen. Aren’t there codes in place for mile square that forbid that? Nice project, the triangular sites are really challenging this will be a nice infill project. So Will there be retail Space on Street level being The Building will be along Indiana Avenue a nice Parking Garage with retail @ The bottom would go great with This Project. A nice compromise, in this era when providing for retail is yielding diminishing returns, might be to provide a smaller retail node at each of the three vertices for this new building, while leaving the rest to private/service uses. Though I agree that Indiana Avenue would be a nicer setting for a retail corridor, it would be a shame to see the southwest corner of Senate and Michigan turn into something less inviting, especially given that the other three corners accommodate retail. It might even stimulate interest in the long-vacant Cosmopolitan corner…or maybe a new tenant to replace Mo’Joes.